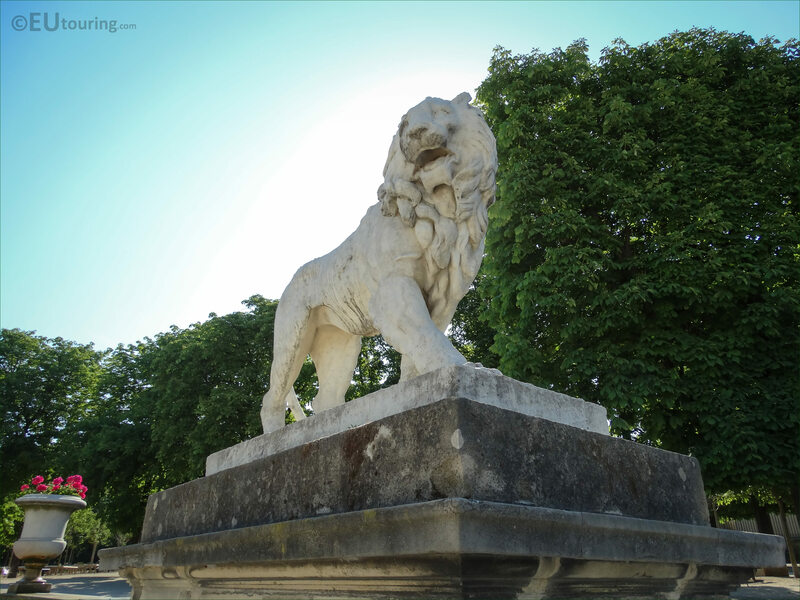 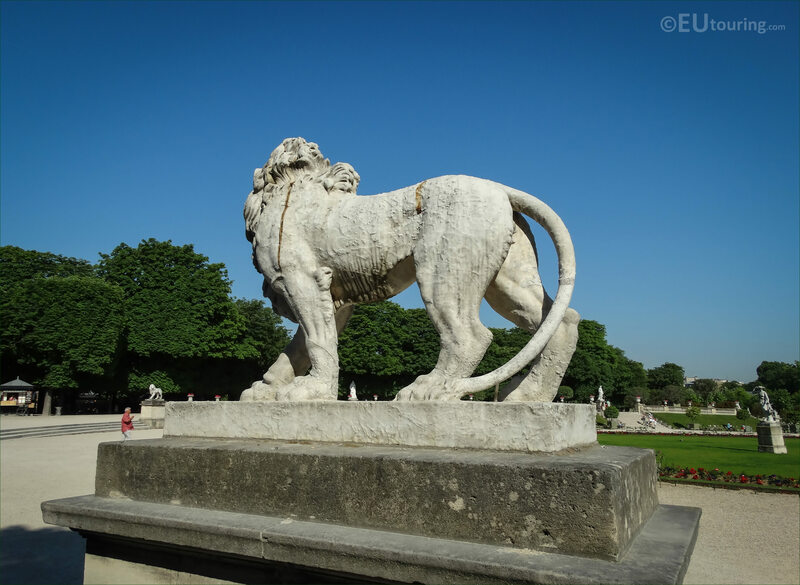 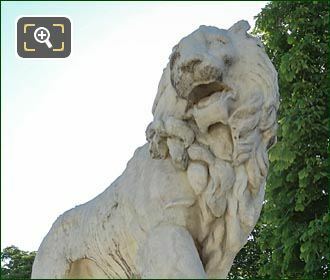 We were again within the Jardin du Luxembourg in the 6th Arrondissement of Paris, when we took these high definition photos of a Lion statue, which is one of a pair located in the gardens. 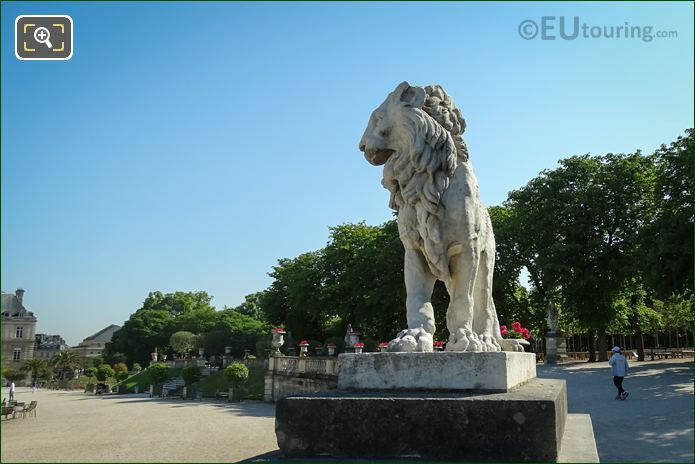 This first HD photo shows the lion statue to the east side of the Jardin du Luxembourg, as though it is looking towards the former royal palace called the Palais du Luxembourg located within the grounds that were designed for Marie de Medici and are now a free public park in Paris. And here you can see another view of the lion statue, and there is another on the opposite side right by the historical stone railings of the terrace, and made of marble at a height of 1.3 metres these were commissioned in 1813 by the architect Baraguey for a sum of 7000 French Francs. But in this last image you can see the side view of the Lion statue, and if you look very carefully you can see the second one in the distance to the left of the photo, and these were both sculpted by Jean-Baptiste Henraux and put on a base, which is a height of 1.5 metres and have their faces both looking towards the central formal garden.